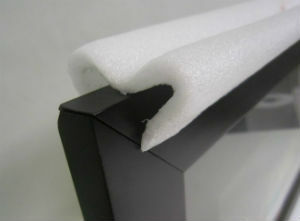 • EPE Foam profiles are an excellent protection option. • Ideal for photo frames or any items with a thickness of up to 30mm. • Comes in 2 metre lengths so you can cut it down to your ideal size lengths. • 2 profile options available. Triangular for thicker edge protection and V shaped for thin edge protection. 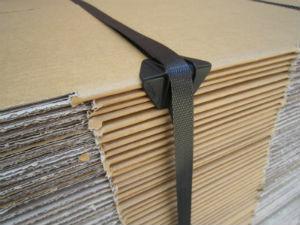 • Cost effective method that provides your product the very best of protection in-transit. A necessity when using strapping to secure your load onto pallets. 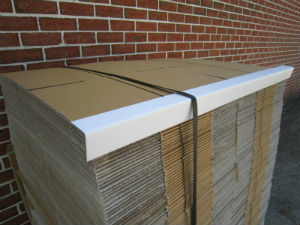 Both cardboard and plastic guards offer protection against damage that strapping might do to your cartons or goods.